Can’t decide? McClain’s also has gift certificates available! 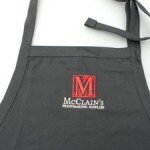 15% Off McClain’s Apron – The logo is just a tad off-center but if you didn’t notice, this is the deal for you. Daniel Jasa and Carolyn Corl had been at McClain’s for a year in October and that definitely called for a celebration! We rounded everyone up (including significant others) and headed out to Oregon’s Wine Country on a beautiful Sunday afternoon. Daniel and Carolyn wear many hats at McClain’s including answering phones, packing boxes and managing the woodshop. 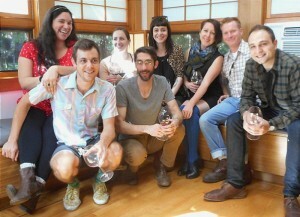 We are ever so grateful for their hard work, enthusiasm and knowledge of printmaking techniques. Thank you Daniel and Carolyn, we hope to be celebrating many more anniversaries withyou in the years to come! 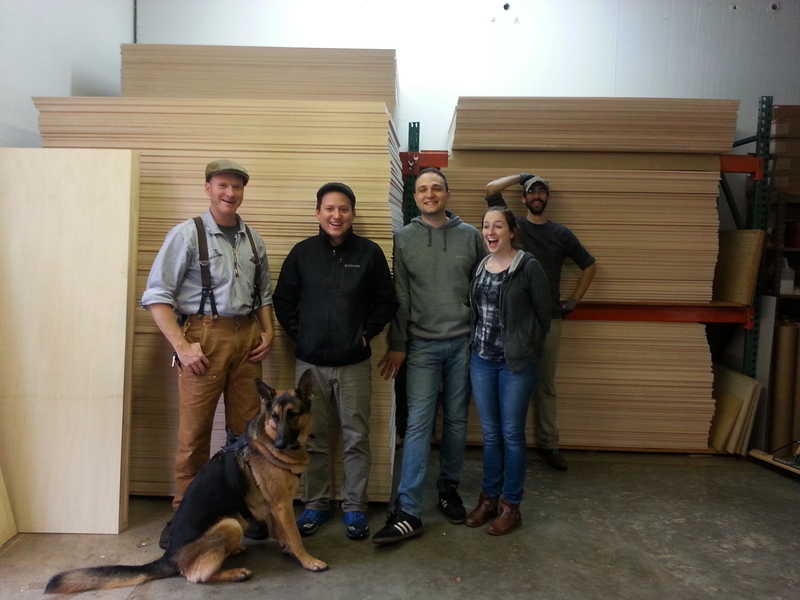 Another year’s supply of Shina Plywood arrived safely and is patiently waiting for new homes. 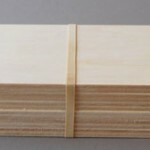 McClain’s imports Shina Plywood every year from Hokkaido, the northern-most island in Japan. Shina is a long-time favorite among Japanese printmakers as it is virtually free of voids, knots and blemishes. Shina Plywood is a member of the Linden family. Its soft grain makes for an easier block to carve, though it is dense enough to hold crisp edges throughout numerous printings. If you have not tried Shina and you live in the United States, you are in luck because you can receive a free sample. Just call or email us and put in your request. 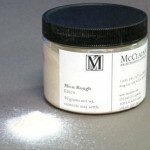 If you are placing an online order you can request a sample in the “Special Shipping Instruction or Comments” section of the online order form. McClain’s Printmaking Supplies was founded in July of 1979, a fact we didn’t know until very recently. We knew that McClain’s was formed sometime in the 1970’s and grew from a small set up in the basement of Bob and Yoko McClain’s home in Eugene, Oregon. It wasn’t until we were generously given resource materials and documents by the late founder’s son Ken that we learned more about the beginnings of what is now McClain’s Printmaking Supplies. 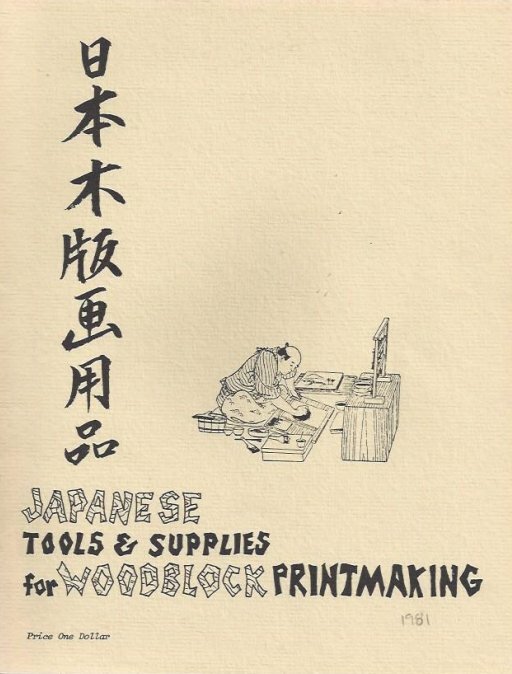 Before the idea of McClain’s Printmaking Supplies was conceived, Bob and his wife Yoko made frequent trips to Japan to visit her family in Tokyo. While abroad, Bob met several famous printmakers and developed a keen interest not only in the prints themselves but in the process used to make them. Bob studied printmaking under Junichiro Sekino and over time he started bringing back original prints and supplies to his home in Oregon, sharing his interest with friends and family. In 1979 a one-sheet price list with hand drawn illustrations of products was sent out. 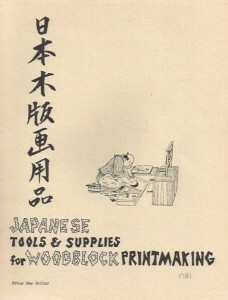 Then in 1981 the first catalog was distributed offering not only woodblock printmaking materials but contemporary Japanese prints as well, including signed, limited edition prints by master printmakers such as Kitaoka, Kurosaki, Nishijima, Sakamoto, and Sekino. Initially the business was called Robert McClain Japanese Prints & Supplies. The name was changed to McClain’s Printmaking Supplies when the new owner Elaine Chandler bought the business and moved it to Portland, Oregon in 1992. Elaine purchased her printmaking supplies from the McClain’s throughout the 1980’s and was a student of Akira Kurosaki. She kept the business in her artist studio located in downtown Portland and occasionally visited local colleges and universities to sell Japanese woodcut tools. In the mid 1990’s Elaine came to a woodcut class at the Oregon College of Art and Craft (OCAC) and one of the students in this particular class was Alex Prentiss. Alex picked up a Namisei Maru To (u-gouge), took it home that night and discovered it made carving so much easier that she carved an entire woodblock with just that one small tool; she was hooked. In 2001 Alex bought the business and moved McClain’s to her living room. It was under Alex that the company went online and BOOM! Thanks to the support of its customers, McClain’s been growing steadily ever since. McClain’s moved out of basements and living rooms and now has its very own warehouse and a full-time staff of four.